The horrific floods in Chennai that disrupted normal life and left over 300 people dead have also left their mark on the city’s IT industry. Owing to offices being flooded and hence closed down, IT companies with a presence in Chennai will see reduced revenues this quarter. Earlier TCS had issued a similar statement. “While majority of facilities in Chennai opened for normal business functioning on December 7, 2015, attendance rates were were lower than normal as employees were still recovering from the flood’s aftermath,” TCS said in a filing to the BSE. The company added that this would have a “material impact” on its revenues. HP subsidary Mphasis said its margins could slide as much as 120 basis points thanks to the floods. “We have about 3,000 people in Chennai. We are still estimating the impact but I think it will be about 100-120 bps (on the margins). There are a number of steps we have taken to ensure that our employees are safe,” MphasiS CEO and Executive Director Ganesh Ayyar told PTI. 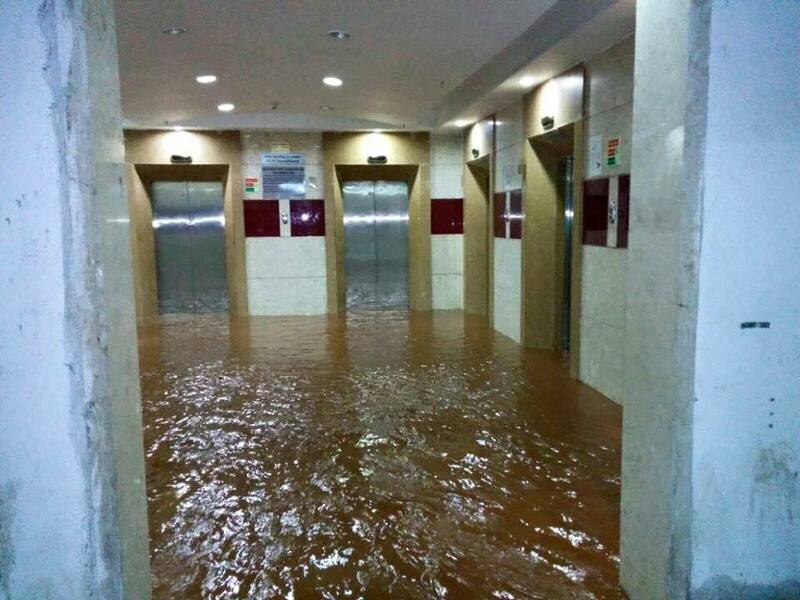 The Chennai floods had caused large-scale water logging in IT offices across the city.